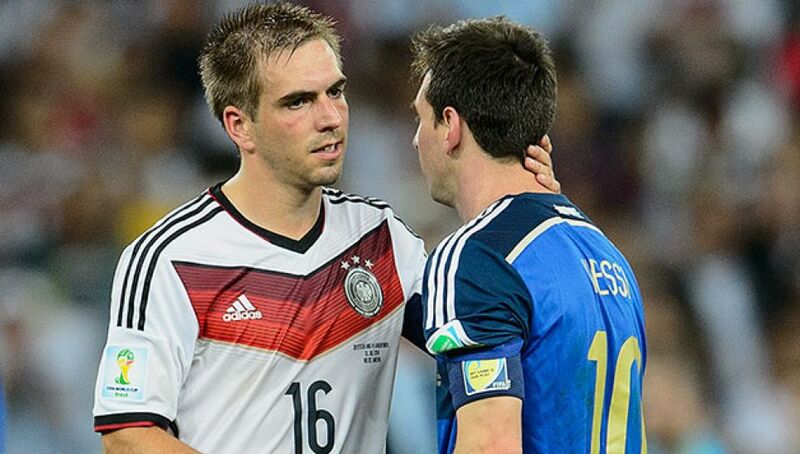 Munich – In one sense, Philipp Lahm's of his retirement from international football only days after leading Germany to victory at the 2014 FIFA World Cup in Brazil does seem to mark, or at the very least predicate, the end of a particular era. Lahm himself is “not making any predictions” on that front, content to reflect on his own experiences with the Nationalmannschaft - “Ten wonderful years, as good as it gets. I'm happy and grateful to have had such a fantastic time there.” That time is over, and “as of now, I'm a fan of Germany.” But at 30 years of age, and on the back of a highly successful and - for him more than most - tactically innovative club season, the Munich native has plenty of football left in him yet. Nobody is more convinced of that than Pep Guardiola. Barely settled into his stewardship of the record champions late last summer, the Catalan tactician was describing Lahm as “the most intelligent player I've ever worked with” - this in the context of having shifted the career full-back into a deep-lying midfield role. The stopgap response to a raft of early-season injuries proved so successful that Lahm remained there for much of the 2013/14 campaign, as Bayern hurtled from one historic Bundesliga best-mark to the next. As far as his skipper's Germany step-down goes, Guardiola told FCB.tv, “He's , not only with FC Bayern but with the national team as well,” adding that insofar as there could be an ideal moment to take such a step, “maybe for him this is it.” What does seem certain is that, relieved of the added demands of international duty, Lahm will be able to focus even more intensely on the ever-ambitious targets in Bayern's sights. With the men from Munich having capped off an all-conquering calendar year 2013 by claiming the FIFA Club World Cup, he has indeed now achieved pretty much everything after getting his hands on the big one in Brazil. Building further on an historic legacy for his hometown club is the challenge now, very possibly in the creative midfield capacity he found so “intellectually stimulating” last season.